It is hard to be thankful when everything seems to be getting under your skin. 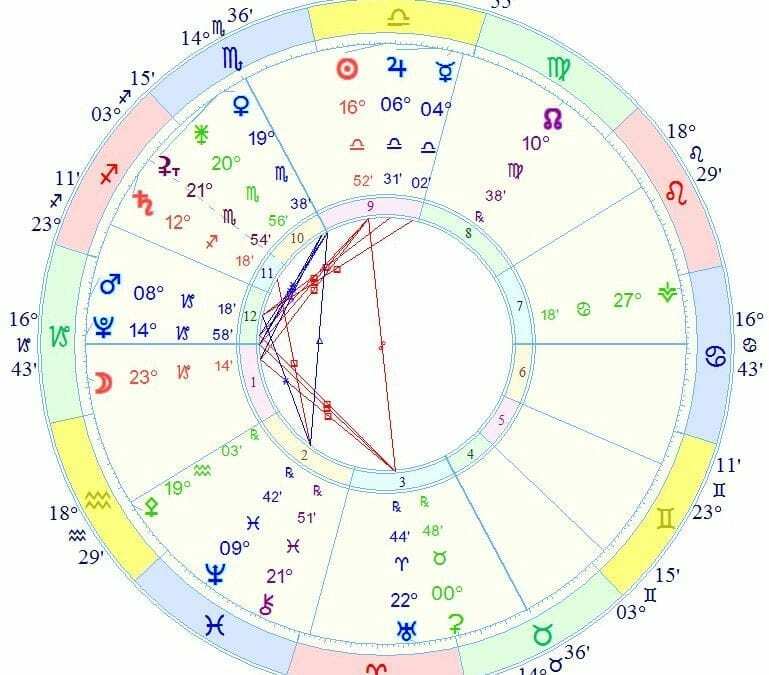 And for many of us, with planets, especially the Sun and Moon at or around 15 to 20 degrees, this is a tough time, especially this weekend, when the sun and moon form a tension figure ( t-square) with Uranus (and Eris – not pictured here) Everything feels more intense and more stress inducing than it otherwise might. For those with key points in Aries, Libra, Capricorn or Cancer especially, i would suggest allowing yourself decompression time when with family — walk the dog, go to the car for something you forgot – whatever it takes to get a bit of head space. Fixed signs are not immune, Leo Scorpio Aquarius and Taurus, folks with key points near 15-20 degrees, you are coming at this configuration from a Quincunx ( also known as an Inconjunct ) perspective, meaning that it will be a bit too easy to take things to heart — even when the words were not aimed in your direction! The best bet is to repeat the mantra “It’s not all about me… it’s not all about me!” On a positive note, Venus Trine Chiron gives a chance for old wounds to have a chance to come to the surface and heal. Be kind to each other and have a loving Thanksgiving.